Her trick is stealing a treat! I found myself perusing through the aisles of a Petco the other day. Now, Petco is not my usual stomping ground for dog (or cat) supplies. To be honest, most Petco stores are small, further away, and slightly more expensive than my go to Petsmart. It just so happened though, that this particular day I had some extra time to waste between activities and so I thought I’d wander Petco to see if it had any interesting treats for sale to surprise Simon and Rosee with. And as luck would have it, treats on sale is exactly what I found. You see, my Petco (and I’m sure others too) had a little section in their treat aisle dedicated to more homemade-looking treats, packaged in small plastic tubs rather than the typical plastic bags that you have to tear the top strip off of in order to open. Intrigued, I made my way through the several different tubs that were on display. There were ones that looked sort of like mini Nutter Butter cookies, ones that looked like little éclairs, and even ones that looked like small pinwheel cookies. However, the ones that caught my attention were modeled after apple turnovers. Rosee couldn’t resist. If only the treats were underneath the table (where her foot actually is). 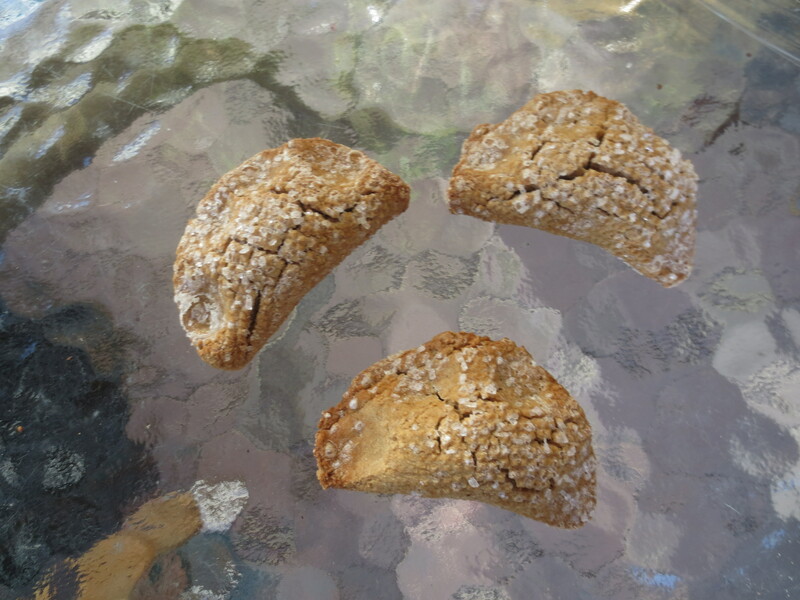 Similar to mini apple pies, these little turnovers look like half-moons with puffed up centers (which is where the filling lies) and a sprinkling of something enticing on the outside. As is expected the turnovers are not soft little things, but have a nice crunch to them, though they are still pretty easy to break in half if need be. They are probably about six inches long, so for my two barking buddies they are just the right size to be a special daily treat. 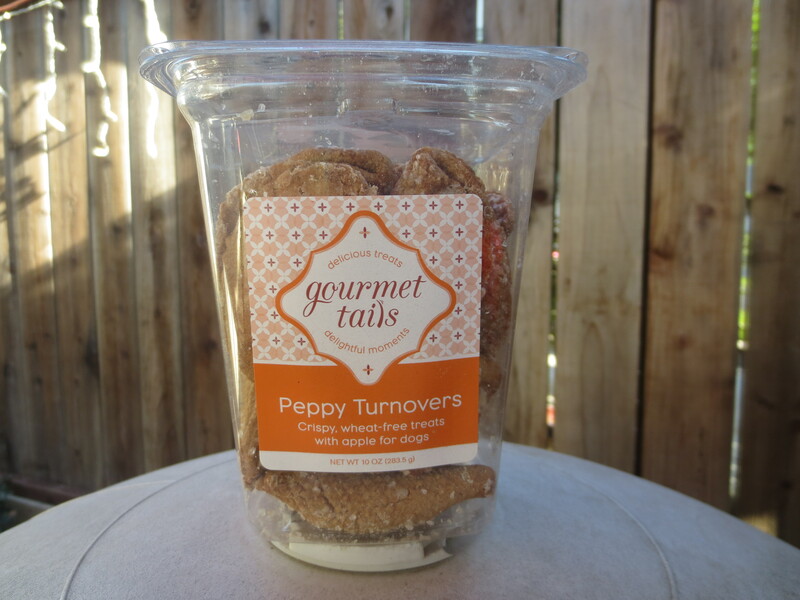 Aptly named Peppy Turnovers and made by the Gourmet Tails company, they seem to be made with good stuff. 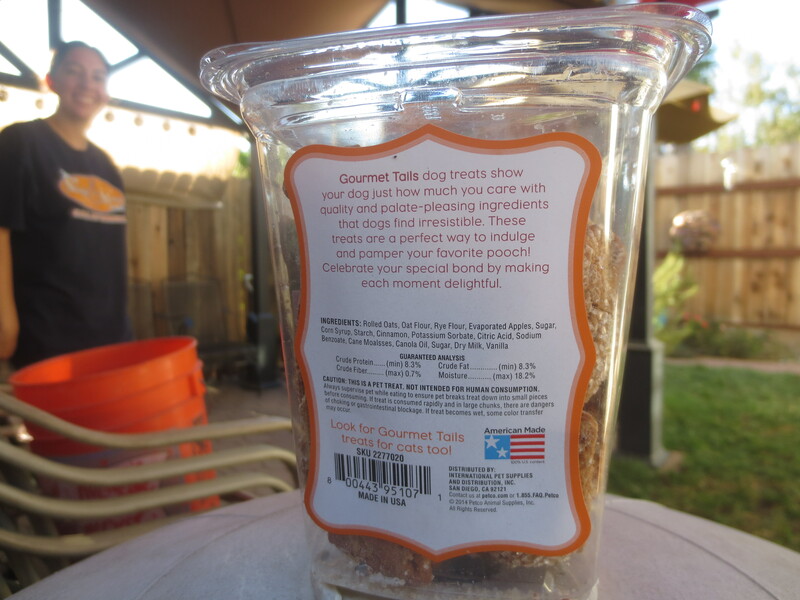 The packaging even calls the treats’ ingredients “quality and palate-pleasing” to make it clear that their treats are better than others. And, I’d have to agree. So far these turnovers have not upset the delicate balance that is the digestive systems of Simon and Rosee. They have not made either pup gassy, extra poopy, or given them any extra spots to sport (i.e. hives). Unfortunately, both Simon and Rosee have shown themselves to be quite sensitive creatures, especially when it comes to particular foods. The fact is peanut butter is so far off the table it’s been relegated to the laundry room cabinet. The few times we tried to give them peanut butter, both ended up developing tiny bumps all over their backs that our veterinarian labeled as an allergic reaction, so no more peanut butter for them. And it made Theresa and myself even more wary about what ingredients were in the foods and treats that Simon and Rosee end up consuming. 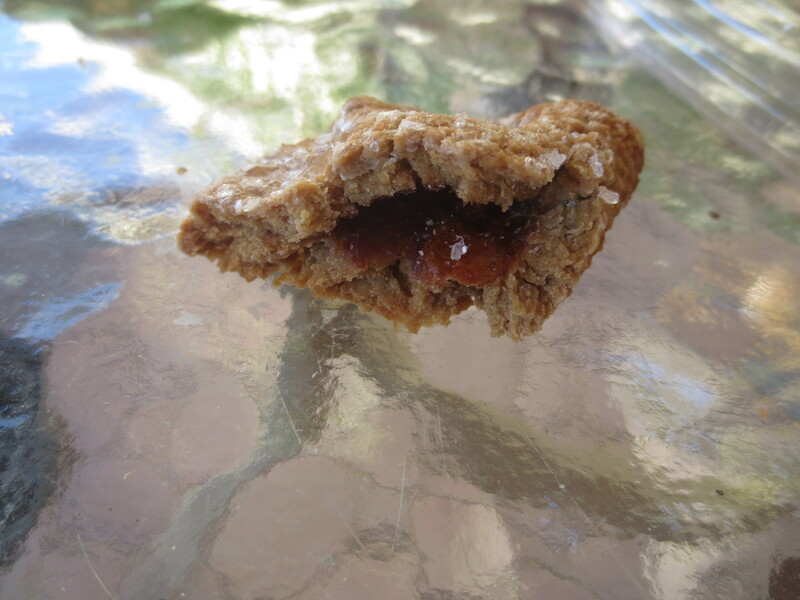 However, I thought that I’d splurge and take a chance on these turnovers because unlike peanut butter apple-things do not give the pups hives, though they do tend to amp up the out-pour of gas (if you know what I’m saying). Lucky for us humans who have to be around them, this has not happened with these particular treats. Now, it was not just the adorable look of these treats that caught my eye, but their price. 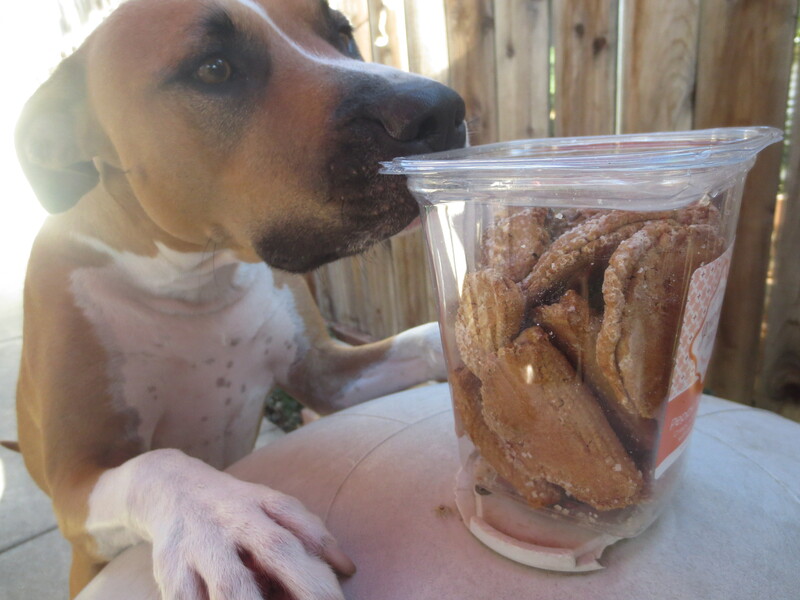 Anyone who has ever bought dog treats knows that they can be expensive. The least expensive dog treats that my family buys are little tiny baked bones that we can buy in bulk at our local pet store. However, most other mass produced dog treats can start at ten dollars for a small bag that, let’s be frank, might last about a week in our household. So, to find these treats, specialty ones no less, for three dollars a tub—um, yeah I bought the two they had left. I had never been so excited to purchase turnovers not made for human consumption in my whole life. Before I get to far gone in fantasies of saving money on dog treats I should say that these treats were on sale. Normally, a tub costs about six dollars, so when I bought them they were half off. Still, six dollars for a tub seems like a steal to me. Other specialty treats I’ve found (you know, those ones that look like frosted sugar cookies?) will cost six dollars for one single treat, let alone buying close to the fifteen that fill up the tub. I say: sweet deal. It was a cold day in November. Early too. Really early. Earlier than I had been up in a good, long while. Early enough so that the sun wasn’t even out yet. Earlier. . . well you get the idea. It was early and I was awake, anticipating one of the greatest moments of my life. What was that magical moment you ask? It was Black Friday at PetSmart. Now, Black Friday is well known as that short day after Thanksgiving where most major retail stores have deep discounts on big ticket items. Usually a day where people are up and out at all times of night and day, Black Friday is very much its own national holiday at this point in American society. So, with little sleep yet a renewed sense of vigor my family and I set out to be some of the firsts in line when PetSmart finally opened its doors Friday morning. Why work so hard to be one of the first to enter the store? Because you get free stuff, obviously! Employees where handing out free stockings for your pet to the first fifty or so people (I don’t remember the exact number) to come into the store. Christmas had come early, and we hadn’t even gotten to the savings further inside the store! As you can tell (read), I was excited. After grabbing my free stocking, along with the other members of my family, I headed out to grab a whole list of items. First on the list was dog food. My family loaded up two carts with four thirty-five pounds bags of deeply discounted dog food. Um. . . score! Next came snatching up a new litter box system for our cat (he’s gotten tired of regular litter in his old age). Somehow, picking out a new litterbox turned into also needing to grab a new cat tree, and since the cat trees were right next to the dog treat aisle it only made sense that two boxes of MILK-BONE made their way into our carts as well. After successfully stuffing our two carts and having to carefully maneuver around the store and the hundreds of people currently inhabiting it, my group made our way to the cash registers and finally left the store. When we finally arrived home I had time to investigate our score and low and behold the stockings were full of treat bags. 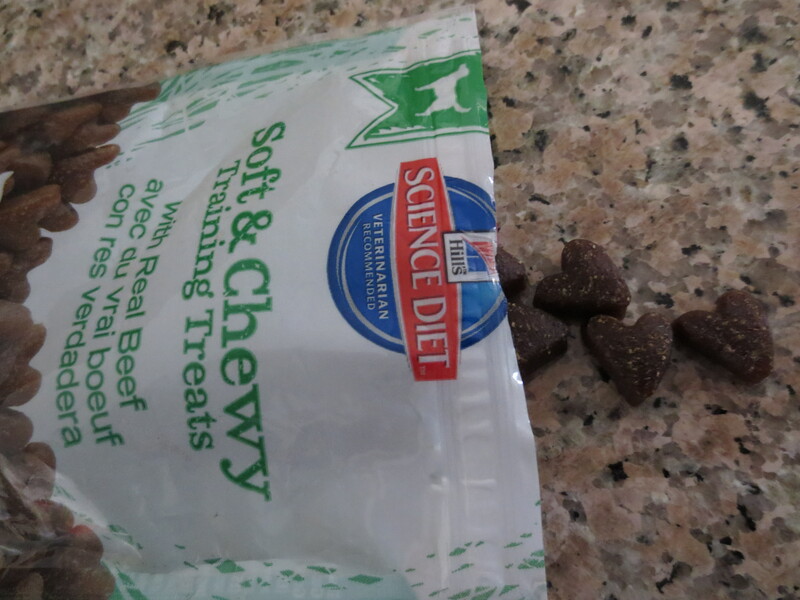 The dog treats that were included were beef-flavored treats from Hill’s Science Diet. Now, I have heard of this brand of dog food before, seen it mostly filling out veterinarians’ offices, but it always seemed a little pricey and not a good fit for my dogs’ needs. However, who can argue with free treats? So, I decided to try them out and see if Simon or Rosee liked them. Boy did they ever! 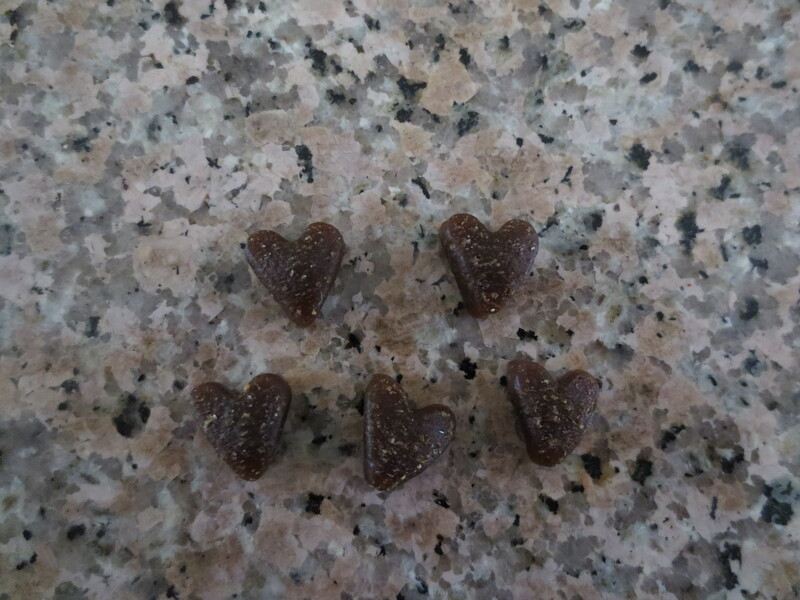 Named Hill’s Science Diet Soft and Chewy Training Treats with Real Beef , these nuggets are small, brown, and heart-shaped. They are slightly hard, so a little difficult to break in half, but they are small enough that they don’t need to be. The one downside is that these particular treats have a really strong smell. The minute you open the package you get this robust beef-flavored whiff stuck in your nose, surely strong enough to entice any dog with a nose. 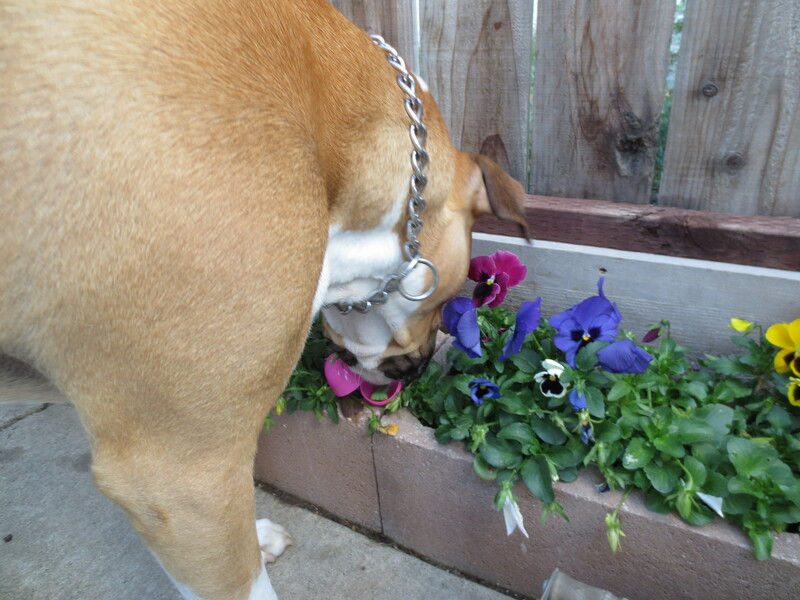 While Simon and Rosee certainly loved the smell, I did not. It reminded me of the way hot dogs smell (not exactly my favorite food), so needless to say I haven’t eaten many hot dogs since. Beyond the shape and smell though, these treats are quite good dog treats, though I don’t know if I would use them specifically for training purposes. They are smelly enough to get my dogs’ attention and cajole them into listening to me when nothing else works. However, these treats are a little rich, so best given in moderation and therefore not useful for training when treats need to be doled out in abundance. I can tell when my two have had a few too many because Simon starts to let out high-pitched squeals of air from his you-know-what and Rosee’s poo gets just a little too runny. So, while these treats are good and enticing I would caution anyone against handing out too many without expecting a different kind of smell to leak out of your dog. Though my two dogs do have rather sensitive stomachs, courtesy of their Boxer genes apparently, but even if your canine companion doesn’t I would still caution against too many of these Science Diet delicacies. Everything in moderation. Now, I don’t know how much these Science Diet treats would cost normally, or what size bags they come in. A quick search on the PetSmart website shows a similar kind of treat from Science Diet, in this case chicken, coming in a 3oz bag and costing about $4. Given the fact that the chicken treat bag looks exactly like the beef one I have, I am left to assume the size and price for the beef treats correspond accordingly. 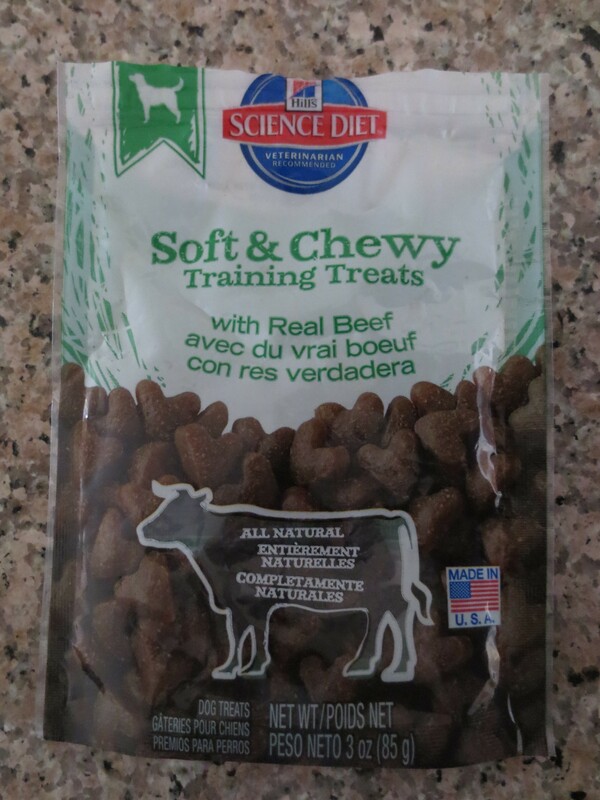 So, if you find yourself looking for a new beef-flavored treat to add to your dog’s repertoire these Science Diet Training Treats with Real Beef might just be something worth trying. Or, because my cursory search on PetSmart’s website for these treats comes up empty, you might try the chicken flavored treats instead. Hopefully, chicken treats will be easier on the stomach, even if not on the nose. Happy treating! 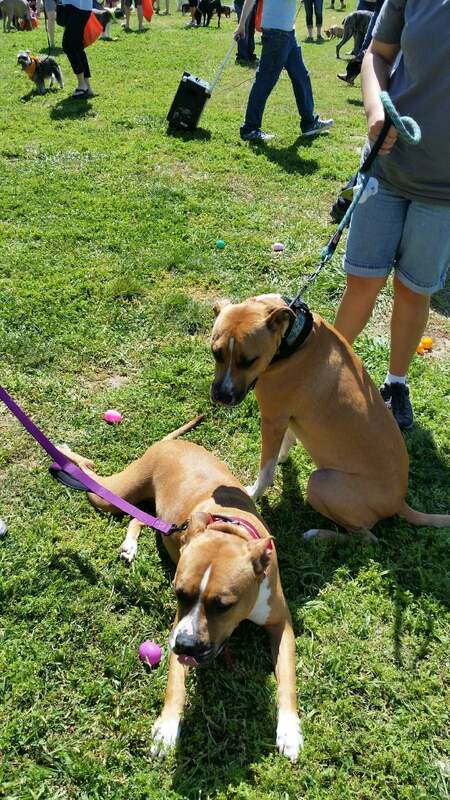 Rosee hurt her left rear leg a couple months ago. At first no one noticed anything different in her, except sometimes when drinking water from her bowl she would lift her leg up and down, not resting much weight on it. Pretty soon her lifting turned into holding her leg up all the time and hopping around the house. She never cried when someone touched her leg or her hip, she never whimpered in her sleep because of discomfort, and she never acted unlike her normal self, except for holding her leg up. It became clear after a few weeks of cutting down on walks and rambunctious playing that home remedies were not going to get her leg back to normal, so off to the vet she went. After a quick examination by the vet and a trip to the scale, it was determined that Rosee had probably sprained a muscle in her leg. Nothing too bad to worry about, but it would require two weeks on an anti-inflammatory medication. . . . oh, and no walking, no running, no jumping, no wrestling, basically no moving of any kind that isn’t slow and steady and doesn’t put extra stress on her hurt leg. In case I haven’t made it abundantly clear throughout other parts of this site Rosee is young and energetic. Simon is young and energetic. Put the two together and they create quite a formidable pair to keep still. Simon’s always moving, always needing to be wherever he thinks the action (or food) is. Rosee, with her need to always be first, sees him move and works to get in front of him at every occasion. The idea of keeping her mostly still for two weeks, at minimum, and somehow keeping Simon entertained as well seemed daunting, but necessary. However, along with her hurt foot the vet also mentioned that Rosee was slightly, a little, just a tad overweight. Now, I had always just seen Rosee as a built, muscular little girl. But when she hit almost 85 lbs. and she looked more like a short log, with no real definition in her sides, it became clear that losing weight could do her some good and it could also help take some stress off of her hurt leg. The vet told my family that to help Rosee lose weight along with cutting down somewhat on her dog food, giver her only vegetables as treats. Cut to changing the way I look at dog treats. Treats are no longer crumbly bones that fall apart, or beef-smelling little nuggets that linger in my nostrils long after serving their attention-getting purpose. No, treats can be bright and colorful and healthy, without smells that make me never want to eat a hot dog again as long as I live. You remember carrots, celery, and cucumbers? You know, those little orange and green things most people find julienned on top of salads? 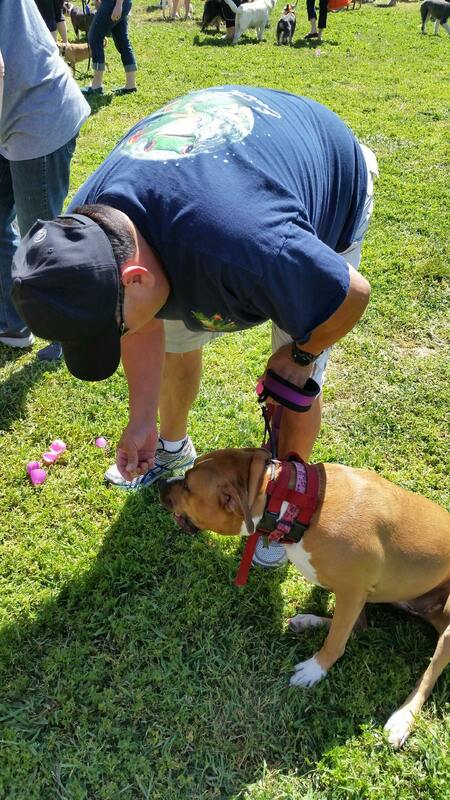 Yup, those are what you can give dogs, without negatively affecting their waistlines. I know, amazing! Spectacular! Unheard of! (Unless of course, you are more evolved than I am and already know of said healthy treats to give your dog, then I applaud you.) The fact is I never thought I had to stray from what could be found down the aisles of pet stores, and that everything in moderation would be motto enough. It all seemed to work well enough for Simon, but alas though they look extremely similar Rosee and Simon are not the same. The vet mentioned that Rosee’s metabolism is simply slower than Simon’s 110 and her needs have to be met accordingly. 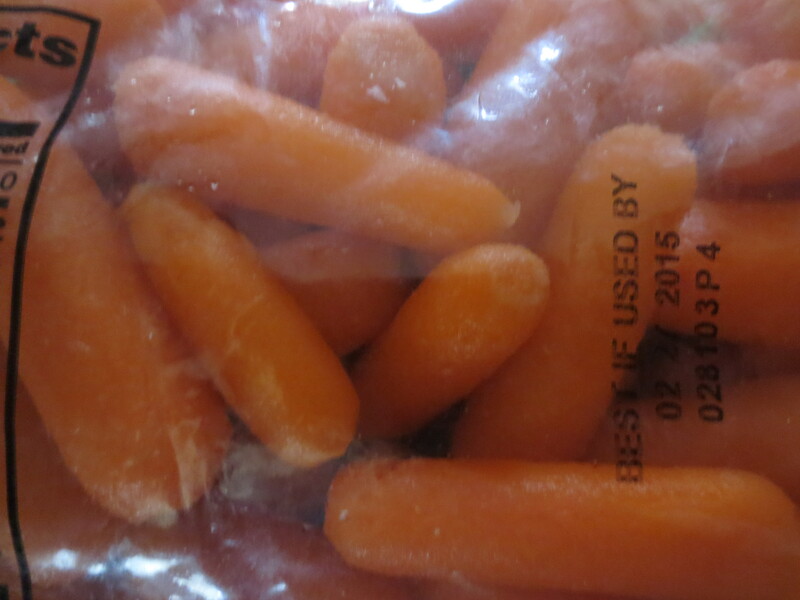 So, carrots became Rosee’s go to treat. When we are on walks, when she stops barking at the garbage trucks, when she rolls over on command—she always gets a nice orange sliver of carrot as a reward. Luckily, Rosee is happy to get as many carrots as I’ll give her. She sees them as an incredible prize that she is always in the mood for. Simon, however, is a dog of a different color. He loves carrots, but he deigns them as undeserving of his palate when something more interesting has his attention. And by something I mean a bird on the lawn, another dog at the park, a person across the way, or a smell in the air. He is prone to fits of distraction caused by pretty much anything. My sister and I have been working with him to conquer his wildfire personality, and he has come a long way with learning to control his impulses, though he still has some work to do (and always will). However, he does not have a weight problem, his metabolism keeping him revved up twenty three hours most days. 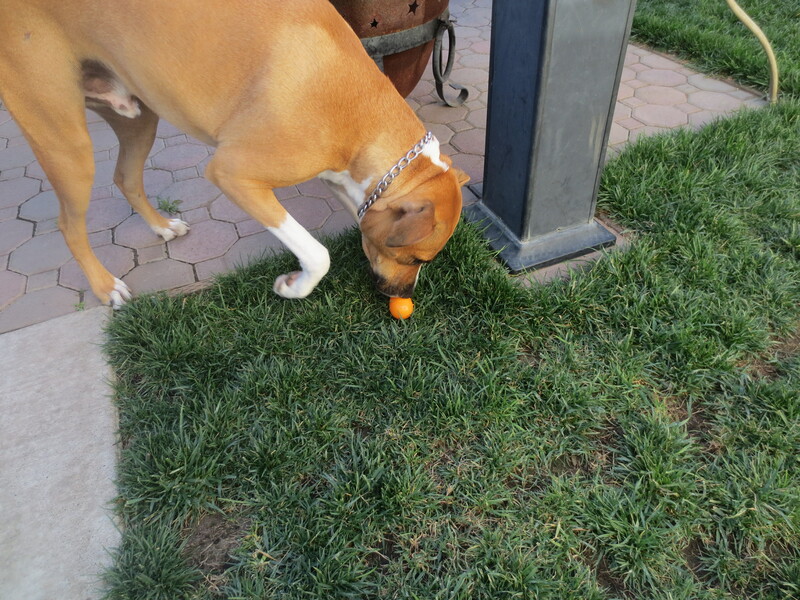 It is not such a big deal that Simon does not only consume carrots as treats. 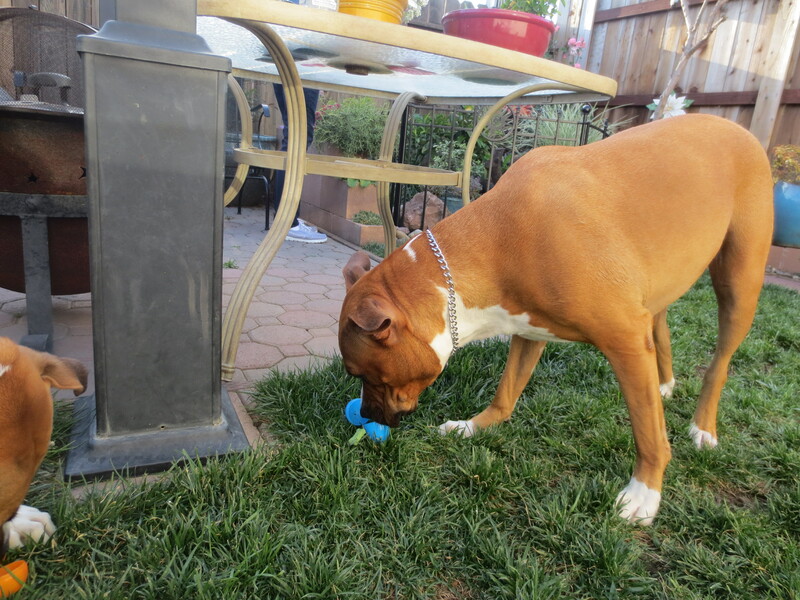 He finds enjoyment through many other outlets, including walks and toys. Most days I’m lucky if he decides hot dog is a worthy opponent to swallow, so food treats are not always the way to go with him. Long story short, alternatives to traditional dog treats do exist and are worth looking into if your dog needs to lose some weight and can’t handle the calories that come with beef-flavored ones. 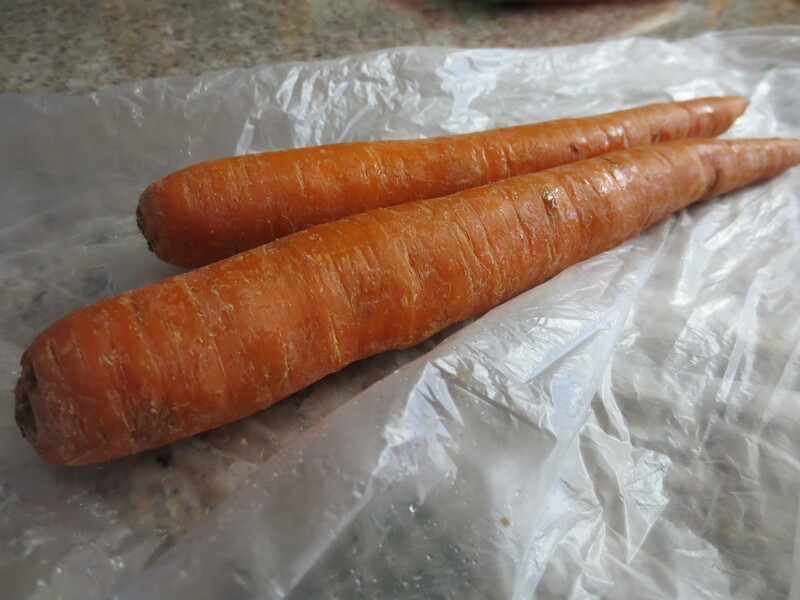 Carrots, and other vegetables safe for dogs, are easily digested, haven’t caused Rosee or Simon any gestational discomfort (i.e. farts), and are cheap to buy at any grocery store. 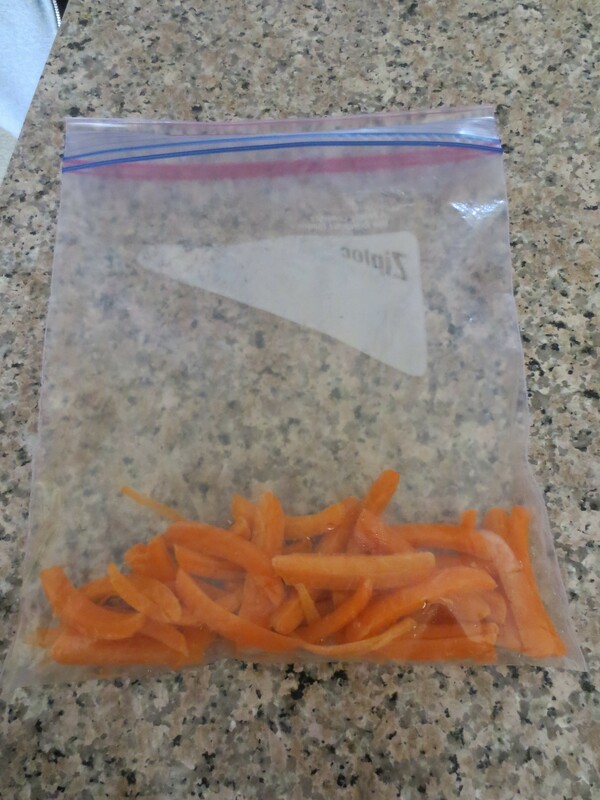 Carrots haven’t turned her poop orange or anything weird, and I am proud to say have helped her lose ten pounds. She is now a svelte 75 lbs. that moves better and more comfortably. So, if you find yourself needing something better to give your dog as a treat, look no further than your own salad toppings. 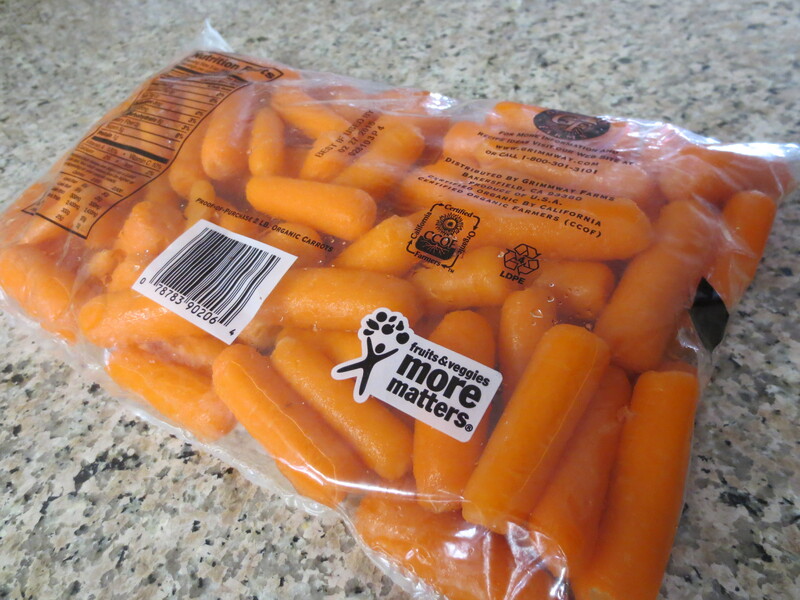 Carrots have really made a positive difference in Rosee’s life, which is odd enough to say, but it’s true. However, if your lovable canine is anything like whirlwind Simon who spits carrots out (if he even decides to take them) then you are better off finding out what exactly makes your dog tick and using that as a treat, as long as it’s still good for them of course. And don’t be afraid to use unconventional things like walks and toys as treats as well alongside food treats.